If you’re planning for a short trip, you probably won’t want to bring along a huge luggage. You simply do not need that many clothes. 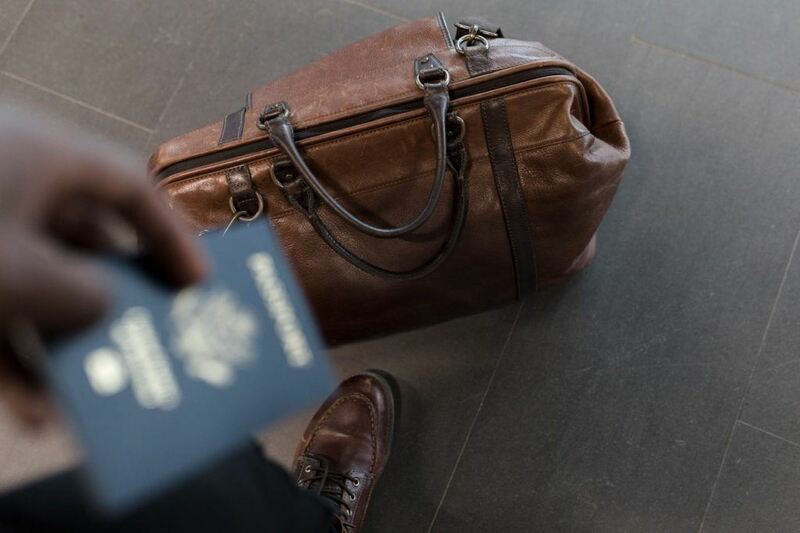 Instead, you should consider investing in small bags for short trips. A smaller bag will make your travels so much easier. Below, you will learn a great deal more about choosing a small bag for your trip. First and foremost, you should make sure that you choose a bag that is actually big enough. Small is great, but too small is bad. Figure out how much you’re going to be packing and choose a bag that will be able to accommodate your needs. You should also consider the bag’s pockets. Does it have a pocket for your phone, tablet and wallet? Do you even want pockets? Pockets can be very beneficial so it is a good idea to have at least one or two. Kemy’s Canvas Duffle Bag might be small, but it is undoubtedly big enough to accommodate all of your items. On top of that, the bag is affordable and gorgeous. It is available in several different colors, including black grey, coffee, grey, and military green. 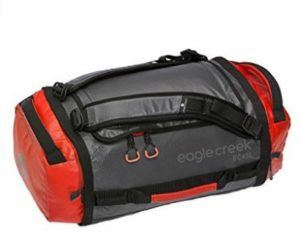 This duffle bag is equipped with a convenient carry handle as well as a shoulder strap. The bag is very well made and will undoubtedly last for many years to come. Carrying the bag is a real delight. It offers a very spacious storage space and will most likely be able to hold all of your items easily. The bag is also thick and padded so it’ll protect your items during your travels. 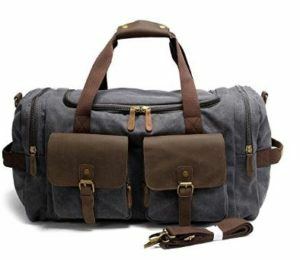 Kemy’s Canvas Duffle Bag is great. The shoe compartment could be improved, but this isn’t a deal breaker. If you’re willing to spend a little more, you might want to upgrade to the Eagle Creek Cargo Hauler. This bag is rugged and more than capable of protecting all of your items. On top of that, it is available in an abundance of colors. If you want to make sure that your bag matches your attire, this one is for you. It also offers three carrying options. It had backpack straps, top haul handles, and a side grab handle. Carrying the bag is definitely easy and it is very spacious on the inside. This bag is great in all regards. However, some have experience quality control issues. Still, most will be satisfied with their investment. Tommy Hilfiger is one of the most reputable brands on the planet. Their Duffle Bag Tommy Patriot Color Block is definitely one of their best bags. It is available in two different color styles. A lot of people will like both. This bag is great for short trips. It is capable of holding a lot of items simultaneously. It can be carried two ways. It includes a shoulder strap and a carry handle. Both options work exceptionally well. More important, it is Tommy Hilfiger so you can guarantee it is going to last. 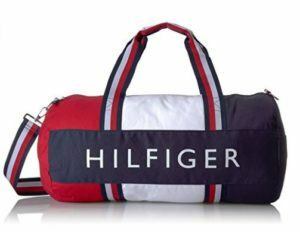 The Tommy Hilfiger Duffle Bag is great. It can hold tons of items, yet it has a smaller footprint. If you’re a fan of the brand, you need this bag. 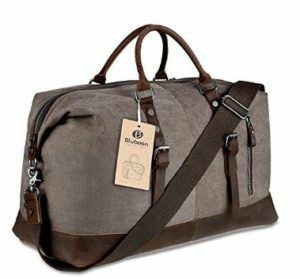 The BLUBOON Canvas Overnight Bag is definitely one of the best bags for short trips. It is available in several cool colors. You can choose between army green, coffee, dark grey, mint green and more. The canvas material is soft, but thick and durable. This bag features legitimate leather. 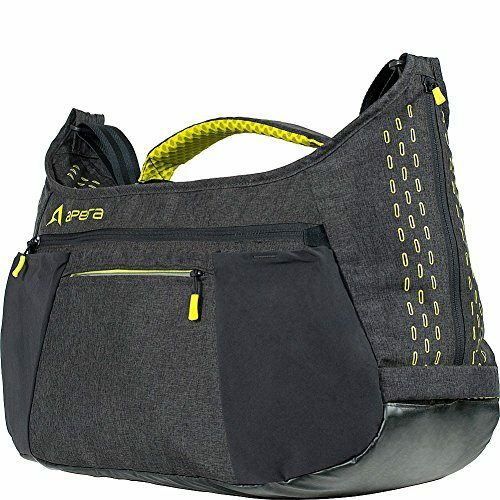 It includes a shoulder strap and carry handles for convenient transportation. The interior is very spacious and will definitely hold all of your items. The Bluboon Canvas Overnight Bag is without a doubt the perfect little bag for trips to the gym or weekend long vacations. With the adjustable shoulder strap, it doesn’t matter your height or stature, because you can adjust the bag to suit you comfortably in any setting. If you are looking for a versatile, beautiful bag that legitimate leather or for travel purposes, you need to consider the Komal’s Passion Leather Square Duffle Bag which can be utilized in gym. This beautifully constructed bag is 24 inches in length, 11 inches in height, and 9 inches in width, so you won’t have a problem stuffing all your gym or travel belongings in it. When you combine this with the 100% genuine leather design, this versatile bag will not only safely store all your belongings, but it will stand up to some of the harshest weather conditions. 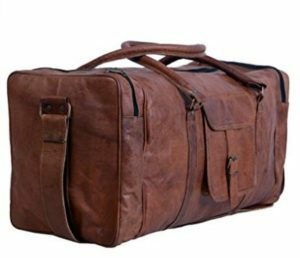 If you are looking for a versatile bag that provides quality and can be utilized in a variety of situations, you need to consider investing in the Komal’s Passion Leather Square Duffle Bag.